The incredible discoveries and innovations of today and tomorrow! Remarkable science has never been more inspirational -- or more important. 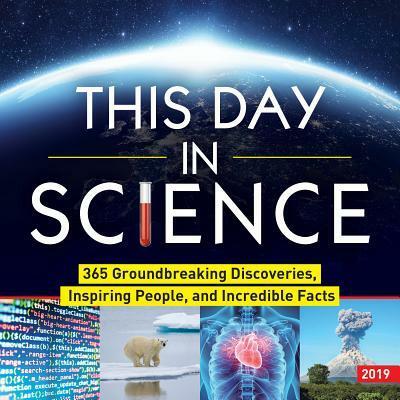 From the latest advances in medicine and technology, to new findings in evolution and the cosmos, 2019 This Day in Science boxed calendar features a remarkable new discovery each day--and will fill your year with unbelievable wonders. February 22, 2017: NASA announce that the Spitzer Space Telescope revealed the largest batch of Earth-size, habitable-zone planets around a single star. July 31, 2008: NASA confirm that the Phoenix lander found ice on Mars. October 1, 2009: Scientists announce the discovery of the oldest fossil skeleton of a human ancestor, Ardi.